Dwayne Kenneth Schintzius (October 14, 1968 – April 15, 2012) was an American National Basketball Association (NBA) basketball player. He was born in Brandon, Florida and attended the University of Florida, where he helped lead the Florida Gators men's basketball program to its first three NCAA tournament appearances as an all-conference center. Schintzius was selected in the first round of the 1990 NBA draft (24th overall) by the San Antonio Spurs, but chronic back problems reduced his effectiveness, and he played for six different NBA teams over ten seasons in the league, mainly as a reserve player. Off the court, Schintzius was known his distinctive mullet-style haircut that he called "the lobster", his sometimes abrasive behavior, and his performance as a Russian basketball player in the 1996 comedy film Eddie . In 2009, he was diagnosed with a rare form of leukemia, and, after treatment and a brief remission, died from complications of the disease in 2012. Leukemia, also spelled leukaemia, is a group of blood cancers that usually begin in the bone marrow and result in high numbers of abnormal blood cells. These blood cells are not fully developed and are called blasts or leukemia cells. Symptoms may include bleeding and bruising problems, feeling tired, fever, and an increased risk of infections. These symptoms occur due to a lack of normal blood cells. Diagnosis is typically made by blood tests or bone marrow biopsy. Parade is an American nationwide Sunday newspaper magazine, distributed in more than 700 newspapers in the United States. It was founded in 1941 and is owned by Athlon Media Group, which purchased it from Advance Publications. The most widely read magazine in the U.S., Parade has a circulation of 32 million and a readership of 54.1 million. As of 2015, its editor is Anne Krueger. The Florida Gators men's basketball team represents the University of Florida in the sport of basketball. The Gators compete in NCAA Division I's Southeastern Conference (SEC). Home games are played in the Exactech Arena at the Stephen C. O'Connell Center on the university's Gainesville, Florida campus. 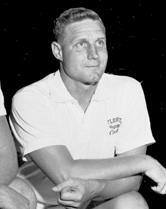 Norman Lesley Sloan Jr., nicknamed "Stormin' Norman," was an American college basketball player and coach. Sloan was a native of Indiana and played college basketball and football at North Carolina State University. He began a long career as a basketball coach months after graduating from college in 1951, and he was the men's basketball head coach at Presbyterian College, The Citadel, North Carolina State University, and two stints as at the University of Florida. Over a career that spanned thirty-eight seasons, Sloan was named conference coach of the year five times and won the 1974 national championship at North Carolina State, his alma mater. The Southeastern Conference (SEC) is an American college athletic conference whose member institutions are located primarily in the Southern part of the United States. Its fourteen members include the flagship public universities of eleven states, two additional public land grant universities, and one private research university. The conference is headquartered in Birmingham, Alabama. The SEC participates in the National Collegiate Athletic Association (NCAA) Division I in sports competitions; for football, it is part of the Football Bowl Subdivision (FBS), formerly known as Division I-A. Despite his personal issues, Schintzius was regarded as a good NBA prospect due to his performance on the court. The San Antonio Spurs selected him in the first round (twenty-fourth pick overall) of the 1990 NBA Draft. He injured his back during his rookie season and was traded to the Sacramento Kings for Antoine Carr on September 23, 1991. He later revealed that Spurs general manager Bob Bass disliked his mullet haircut and told him to cut it, which he did. Schintzius then sent Bass the shavings in an envelope. The Kings waived Schintzius during the 1991–92 season, and the New Jersey Nets signed him on October 1, 1992. Darrell Lamont Jackson is an American former college and professional football player who was a wide receiver in the National Football League (NFL) for nine seasons during the 2000s. Jackson played college football for the University of Florida, and thereafter, he played professionally for the Seattle Seahawks, the San Francisco 49ers and the Denver Broncos of the NFL. William John Donovan Jr. is an American professional basketball coach and former player who is the head coach for the Oklahoma City Thunder of the National Basketball Association (NBA). He previously spent 19 seasons at the University of Florida, where his Florida Gators teams won back-to-back NCAA championships in 2006 and 2007. Donovan has more wins than any other coach in the history of the Florida basketball program, and he coached the Gators to more NCAA tournament appearances, NCAA tournament wins, and Southeastern Conference (SEC) championships than all other Florida coaches combined. Richard Jose Casares was an American college and professional football player who was a fullback in the National Football League (NFL) and American Football League (AFL) for twelve seasons during the 1950s and 1960s. Casares played college football for the University of Florida, where he was standout fullback and kicker. Casares played professionally for the Chicago Bears and Washington Redskins of the NFL, and was a member of the expansion Miami Dolphins of the AFL. Vernon Leon Macklin is an American professional basketball player for the Kawasaki Brave Thunders of the B.League. 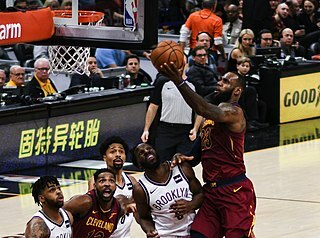 He played college basketball for the University of Florida before being drafted was by the Detroit Pistons in the second round of the 2011 NBA draft. Thomas Johnson "John" Reaves was an American college and professional football player who was a quarterback for eleven seasons in the National Football League (NFL) and three seasons in the United States Football League (USFL) during the 1970s and 1980s. Reaves played college football for the University of Florida, and earned All-American honors. He was a first-round pick in the 1972 NFL Draft, and played professionally for the Philadelphia Eagles, Cincinnati Bengals, Minnesota Vikings, Houston Oilers, and Tampa Bay Buccaneers of the NFL, and the Tampa Bay Bandits of the USFL. Donald Eugene DeVoe is a former American college basketball coach and former player. DeVoe played college basketball for Ohio State University, and later served as the head coach for Virginia Tech, the University of Wyoming, the University of Tennessee, the University of Florida and the United States Naval Academy. David Lawrence Galloway is an American former college and professional football player who was a defensive end in the National Football League (NFL) for ten seasons during the 1980s and early 1990s. Galloway played college football for the University of Florida, and earned All-American honors. A second-round pick in the 1982 NFL Draft, he played professionally for the St. Louis and Phoenix Cardinals and the Denver Broncos of the NFL. Andrew Douglas Owens, Jr., nicknamed Andy Owens, is an American attorney and state court judge in Sarasota County, Florida. Owens is a Circuit Court Judge for the Twelfth Judicial Circuit of Florida. He is also a former University of Florida basketball star. Gary J. Keller is an American former college and professional basketball player who was a center and power forward in the American Basketball Association (ABA) for two seasons during the late 1960s. Keller played college basketball for the University of Florida, and thereafter, he played professionally for the Minnesota Muskies and the Miami Floridians of the ABA. Clifford Luyk Diem is an American-born former basketball player and coach, who played professionally in Spain and Europe from 1962 to 1978. He played college basketball for the University of Florida. He was drafted by the New York Knicks of the National Basketball Association (NBA), but never played a regular season game in the NBA. He signed with the Spanish professional team Real Madrid, helped Real Madrid become the dominant European basketball team of the 1960s, and is remembered for his trademark, old-school hook shot. Brandon Keith James is a former American football wide receiver and kick returner. James played college football for the University of Florida, was a two-time All-American, and was a member of two BCS National Championship teams. Thereafter, he played professionally for the Indianapolis Colts of the National Football League (NFL) and for the Edmonton Eskimos of the Canadian Football League (CFL). Dwayne Keith Dixon is an American former college and professional football player who was a wide receiver in the National Football League (NFL) and Arena Football League. He played college football for the University of Florida, and thereafter, played professionally for the Tampa Bay Buccaneers of the NFL, and the Washington Commandos and Detroit Drive of the Arena Football League. Dixon has been a college football coach since 1990. Jimmy DeWayne DuBose is an American former college and professional football player who was a running back in the National Football League (NFL) for three seasons during the 1970s. DuBose played college football for the University of Florida, and thereafter, he played professionally for the Tampa Bay Buccaneers of the NFL. Thomas George Bartlett was an American college basketball and tennis player, as well as a college basketball and tennis head coach. After graduating from the University of Tennessee, Bartlett served as the men's basketball head coach for Carson-Newman College, the University of Chattanooga, and the University of Florida, and also as the men's tennis head coach at the University of Tennessee and UT-Chattanooga. The 2012–13 Florida Gators men's basketball team represented the University of Florida in the sport of basketball during the 2012–13 college basketball season. The Gators competed in Division I of the National Collegiate Athletic Association (NCAA) and the Southeastern Conference (SEC). They were led by head coach Billy Donovan, and played their home games in the O'Connell Center on the university's Gainesville, Florida campus. The 2014–15 Florida Gators men's basketball team represented the University of Florida in the sport of basketball during the 2014–15 NCAA Division I men's basketball season. The Gators competed in the Southeastern Conference (SEC). They were led by nineteen-year head coach Billy Donovan, and played their home games in the O'Connell Center on the university's Gainesville, Florida campus. They finished the season 16–17, 8–10 in SEC play to finish in a tie for eighth place. They advanced to the quarterfinals of the SEC Tournament where they lost to Kentucky. 1 2 3 4 5 6 7 Basketball-Reference.com, Players, Dwayne Schintzius. Retrieved April 16, 2012. 1 2 Bob Hill, "Schintzius Could Make a Big Difference," Sun-Sentinel, p. 1C (November 20, 1986). Retrieved April 16, 2012. 1 2 Joey Knight, "Tampa Bay's All-Century Team: No. 61 Dwayne Schintzius Archived 2012-03-07 at the Wayback Machine ," The Tampa Tribune (October 30, 1999). Retrieved April 16, 2012. 1 2 3 4 5 6 7 8 2011–12 Florida Gators Men's Basketball Media Guide , University Athletic Association, Gainesville, Florida, pp. 74, 76–77, 79, 82, 84, 90, 132–133, 146, 151, 153–154, 157, 159–160, 162, 163, 164, 166 (2011). Retrieved April 16, 2012. 1 2 3 4 5 6 Curry Kirkpatrick "Much ado about a 'do: The long and short of it is that mangle-maned Dwayne," Sports Illustrated (January 16, 1989). Retrieved April 16, 2012. ↑ King, Bill (January 26, 1990). "Schintzius's Career Always Interesting". The Gainesville Sun. Retrieved April 13, 2013. 1 2 3 Mark Bechtel, "Fanatics at Work: Ten Most Intriguing Things Thrown on the Field," Sports Illustrated (May 4, 2006). Retrieved April 16, 2012. ↑ Kevin Brockway, "Former Florida center Dwayne Schintzius dies at 43 Archived 2015-06-20 at the Wayback Machine ," The Gainesville Sun (April 15, 2012). Retrieved April 16, 2012. ↑ "Fans throw Vanderbilt for a loss". The Associated Press. January 26, 1989. Retrieved April 13, 2013. 1 2 3 4 5 "Basketball; Schintzius Walks Out And Slams the Door," The New York Times (January 27, 1990). Retrieved April 16, 2012. ↑ Hays Carlyon, "Gators great Dwayne Schintzius, 43, dies of leukemia," The Florida Times-Union (April 15, 2012). Retrieved April 16, 2012. 1 2 Antonya English and Alexandra Zayas, "Former Florida Gator, Brandon High basketball star Dwayne Schintzius dies at 43," Tampa Bay Times (April 15, 2012). Retrieved April 16, 2012. 1 2 Joey Johnston, "As baseball's trade deadline nears, anxiety rises," The Tampa Tribune (July 24, 2011). Retrieved April 16, 2012. 1 2 3 4 5 Chris Harry, "All Grown up Dwayne Schintzius shows a softer side than he did 20 years ago when he stormed onto the basketball scene at the University of Florida," South Florida Sun-Sentinel, p. C1 (March 14, 2007). Retrieved April 16, 2012. ↑ Shaun Powell, "Former NBA big man Schintzius fights cancer, ghosts of past," NBA.com (October 19, 2012). Retrieved April 17, 2012. ↑ "Former Net renews claim that Williams shot own dog Archived 2007-04-02 at the Wayback Machine ," CourtTV.com (May 5, 2004). Retrieved March 16, 2007. 1 2 3 Joey Johnston, "Former NBA, UF center Schintzius grateful to be alive Archived 2010-08-26 at the Wayback Machine ," The Tampa Tribune (July 13, 2010). Retrieved April 16, 2012. ↑ Kurt Helin, "ProBasketballTalk: Dwayne Schintzius fighting for life," NBC Sports (February 19, 2010). Retrieved April 16, 2012. ↑ Joey Johnston, "Ex-UF star, NBA player Dwayne Schintzius battling cancer," The Tampa Tribune (February 17, 2010). Retrieved April 16, 2012. ↑ Joey Johnston, Bay area native, UF star Schintzius dead at 43," The Tampa Tribune (April 15, 2012). Retrieved April 16, 2012. ↑ Michael DiRocco, "Dwayne Schintzius dead at age 43," ESPN (April 15, 2012). Retrieved April 16, 2012.